With all her success and an Instagram following that continues to grow, brands are vying to partner with Itsines, but she’s not interested in diluting her personal brand with sponsored posts. 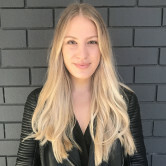 Speaking to AdNews on a recent trip to Sydney, Itsines says her and partner, Pearce, have set “hard boundaries” for what products they choose to promote and what they’ll share about their lives. Scroll through her Instagram feed and you’ll find hardly a single shot of Kayla posing with a product that’s not her own – all of her photos are either of her client’s transformations or herself in active wear. “We choose not to partner with brands or do any type of brand partnerships because we don’t believe it adds value to our customers or align or aligns to what we want to achieve,” Pearce says. Itsines says there’s a lot of fitness influencers out there that “push boundaries” and post controversial content – something she steers clear of. The Federal Government last month came under fire for an influencer campaign that encourage young women to be active, pairing with Instagram stars that had previously partnered with alcohol brands and had come under scrutiny for racist tweets. Itsines says it’s a common mistake she sees brands make, pairing with the wrong people just to get in front of their large audiences. “The backlash around that campaign shows two things; that there’s people in the marketing industry who will use influencers just because they have a large amount of fans instead of a positive alignment and also, there’s influencers out there just wanting to receive payment for something and they don’t consider authenticity,” Pearce says. *Kayla Itsines and Tobi Pearce were in Sydney as part of the AdWeek APAC Conference. Kayla Itsines has ridden the Instagram wave to evolve from a personal trainer based in Adelaide to one of the internet’s biggest names in fitness with a multimillion-dollar empire that continues to grow. The 26-year-old has more than 10 million Instagram followers – a captive audience to sell her paid e-books. She also has a hugely popular app, ‘Sweat With Kayla’, which was the most downloaded fitness app in 2016, according to analytics firm App Annie, raking in $17 million in revenues. In 2016, Itsines and her fiancé and business partner Tobi Pearce debuted on the BRW Young Rich List, reportedly sharing a combined wealth of a whopping $46 million. Forbes Magazine also named Itsines in its Top Influencers for 2017.